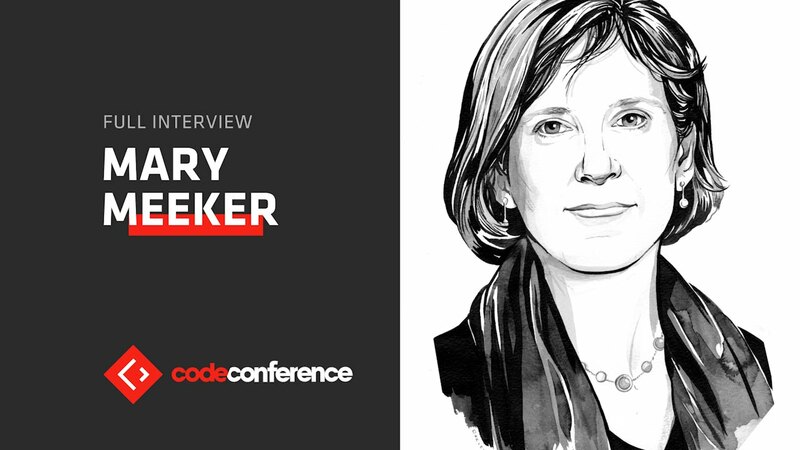 Mary Meeker is the General Partner of Kleiner Perkins Caufield & Byers, a venture capital which have helped build and accelerate growth at pioneering companies like Amazon, Google, Lending Club, Twitter, Uber and Waze to name but a few. During the 2018 Code Conference, she presented the Internet Trends Report 2018, a very comprehensive picture (294 slides!) on what the big trends in the web currently are. Internet usage may be nearing peak. Indeed, the number of Internet users has surpassed half the world’s population and growth continue to slow. “When markets reach mainstream, new growth gets harder to find,” she said, as confirmed by the fact that for the first time sales of smartphones stopped (0% in 2016 vs. +2% in 2017). “Reality is the dynamics of global innovation and competition are driving product improvements, which, in turn, are driving usage and monetization,” she explained. Many of these improvements are based on data which provide better experiences for consumers and also improve the predictive ability of many services. Internet Companies continue to make low-priced services better, in part, from user data. Internet Users continue to increase time spent on Internet services based on perceived value. Regulators want to ensure user data is not used ‘improperly.’ Scrutiny is rising on all sides. We also pay increasingly using digital currencies and spend at least 30 minutes per day watching videos. We use social media to discover new products so that shopping is becoming a form of entertainment. This consumerization process affects healthcare as well. Is US, for instance, healthcare spending is shifting to consumers who, in turn, develop consumer expectations. Lastly, while on demand jobs are on the rise and chage the way we work, immigration has proved to be a key factor for job creation as more than half US-based tech companies have been founded by immigrants. or download the .pdf version of the report here.